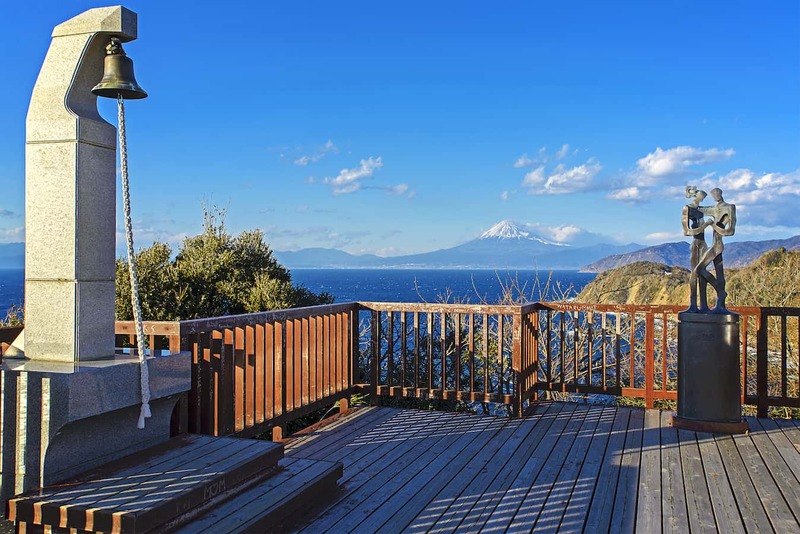 Izu City, located in the middle of the Izu Peninsula, has abundant natural beauty and atmospheric hot springs. There are many scenic areas, including Shuzenji known as "Izu's Little Kyoto", Toi with its beautiful scenery including Tabibito Misaki Cape and Lover's Cape, Nakaizu's beautiful Japanese scenery such as the wasabi fields of Ikadaba, and Amagiyugashima which was setting of short story 'The Izu Dancer' by Yasunari Kawabata. Local specialties include wasabi raised with quality water, thick shiitake mushrooms, and game meat including venison and wild boar. 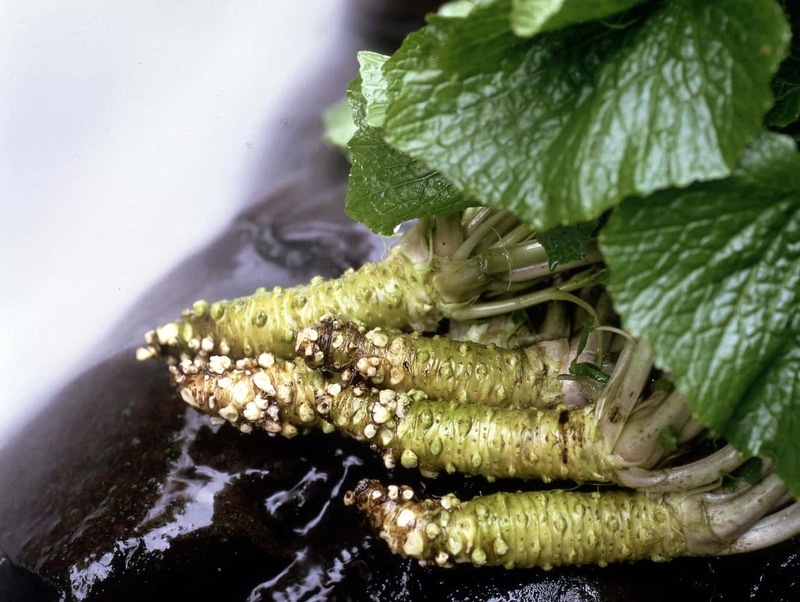 Pure spring water with a constant flow and little change in temperature, and deciduous trees to keep direct sunlight from reaching the plants; these are the perfect conditions for slowly and carefully growing Amagi wasabi. It makes for exquisite produce that is bright green, sweet, and has an excellent flavor. Raw wasabi, pickled wasabi, wasabi miso, and wasabi ice cream are some of the popular products made with wasabi, and there is also a facility to experience wasabi harvesting. 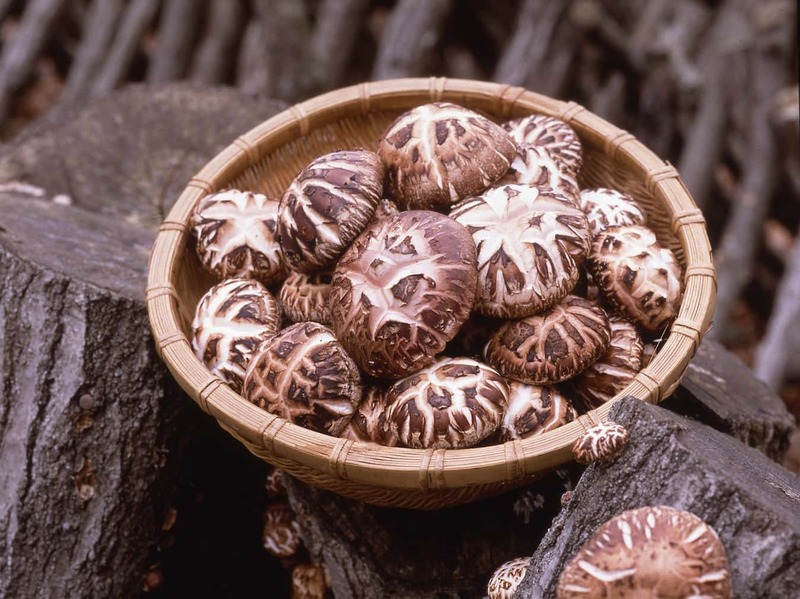 Izu City is where the practice of log-grown shiitake mushrooms started. The city has a warm climate with high rainfall, so it is perfect for shiitake cultivation, and the mushrooms produced here are thick and juicy, with high quality flavor and aroma. Mushrooms with a cap width of 4 cm to 6 cm and good shape are carefully chosen from among the thick "Donko" variety and branded as "Seisuke Donko". This variety was named after Seisuke Ishiwata from Amagi, who is said to have started shiitake mushroom cultivation in Japan in 1741. Izushika is the name given to venison (deer meat) from Izu. 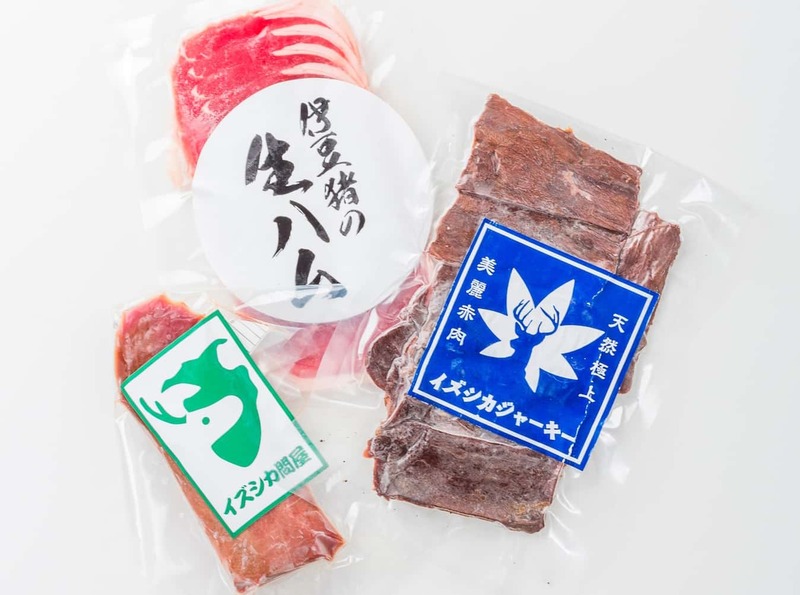 The Izu City Meat Processing Center uses its thorough management system and low-temperature aging to produce venison with strong umami flavor but no harsh odor. You can enjoy Izushika-don (venison rice bowl) and Izushika curry at restaurants, or buy Izushika jerky that is loaded with flavor in every bite. Another specialty is wild boar meat, so you can enjoy boar hot pot and boar rice bowl dishes. Shuzenji's specialty black rice is characterized by its chewy texture, rich purple color, mild sweetness, and excellent aroma. The black rice is also rich in protein, iron, and vitamins B1, B2, and E, so it is used for Chinese medicinal cuisine. 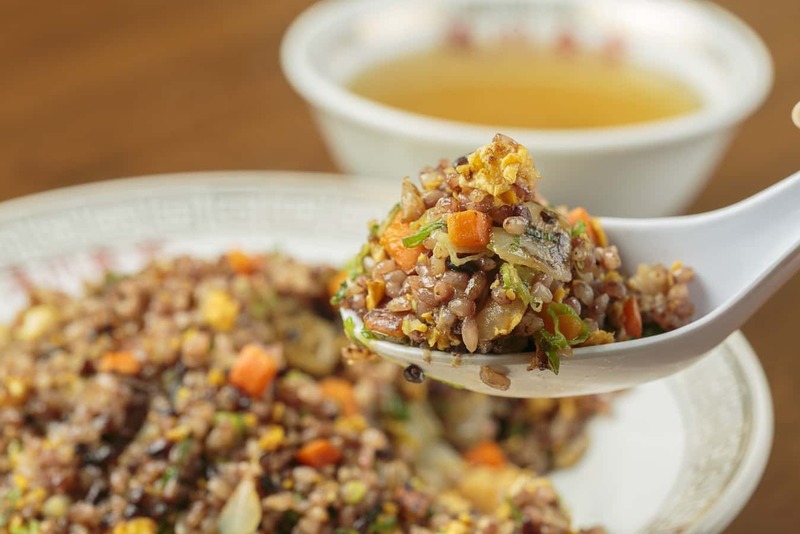 Restaurants in Izu City serve a diverse selection of cuisine using black rice, including soba noodles, fried rice, kamameshi, mochi, and soft serve ice cream. Amagi is famous as the setting of 'The Izu Dancer', a famous short story by Yasunari Kawabata which has been cinematized many times. 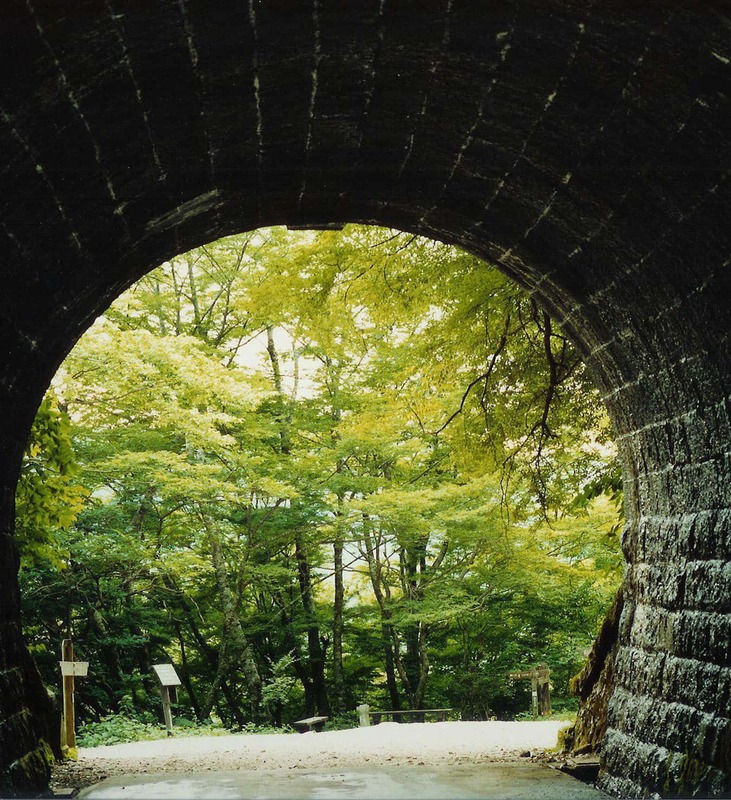 Old Amagi Tunnel connecting Izu and Kawazu is Japan's longest stone tunnel at 446 meters, and has been designated as an important cultural property of Japan. Its cold and mossy stones create a distinct atmosphere inside the tunnel. 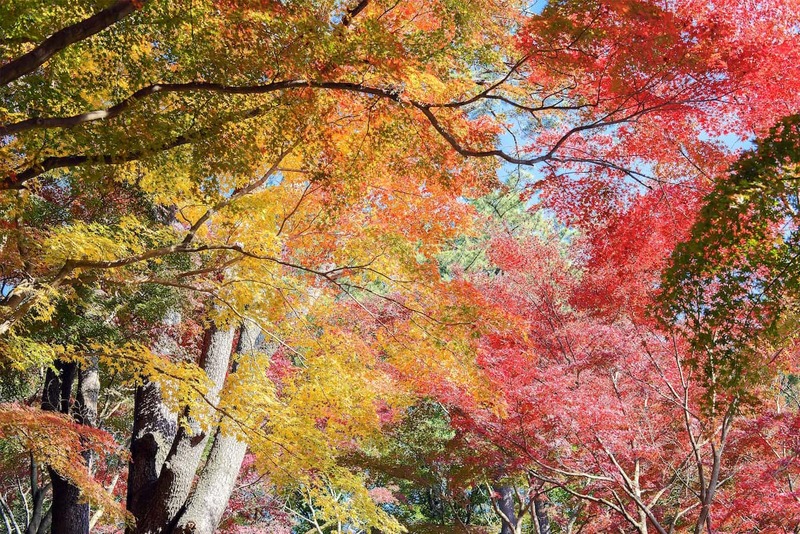 The changing colors in autumn are beautiful too, and the Amagi Momiji Festival is held in November. You can carry lanterns around the town and take a picture with real Izu dancers. Shuzenji Temple was established by the monk Kobo-Daishi (Kukai) over 1,200 years ago, and lent its name to the Shuzenji area. It is known as the place where Minamoto no Yoriie, 2nd Shogun of the Kamakura Shogunate, was confined. It is also the setting of the kabuki play 'Shuzenji Monogatari' (The Mask Maker's Story) penned by Kido Okamoto in the Meiji Period. The grounds of the temple have wonderful foliage, and it is a famous destination to see autumn leaves. A seated statue of Dainichi Nyorai (Mahavairocana) is the main Buddhist statue enshrined here. It is nearly life size at 103 centimeters in height, with width from knee to knee of 73 centimeters, and is parquet construction using cypress wood, with crystals in the eye sockets, and lacquer foil. The temple has been designated as an important cultural asset of Japan. Sambaso is a traditional art performed at Shinto shrine festivals wishing for peace and a good harvest in the local area, as well as the prosperity of one's descendants. 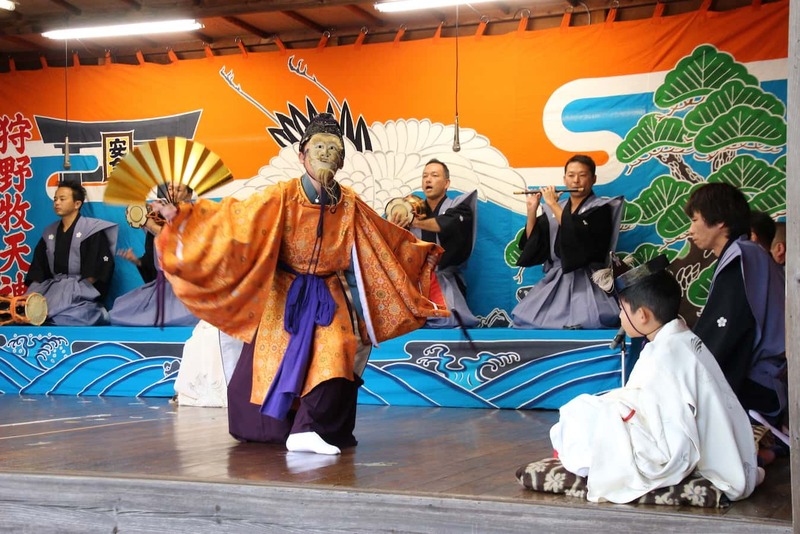 It is performed with humorous dialogue and a quick tempo, and is designated as an intangible folk cultural property of the city along with Kagura (sacred music and dance) and Torisashi dance. 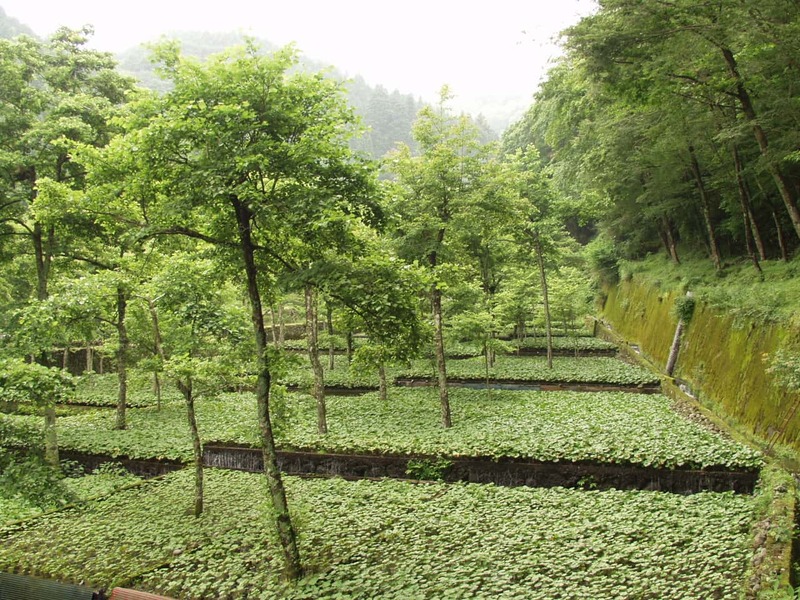 Ikadaba has 1,500 wasabi fields spread across nearly 15 hectares. It has been selected as one of the "10 Best Terraced Fields in Shizuoka Prefecture", and is famous as the location of the film 'Chronicle of My Mother'. You will want to see this beautiful Japanese scenery at least once, with its rows of terraces and the foliage of trees planted to block the sunlight. 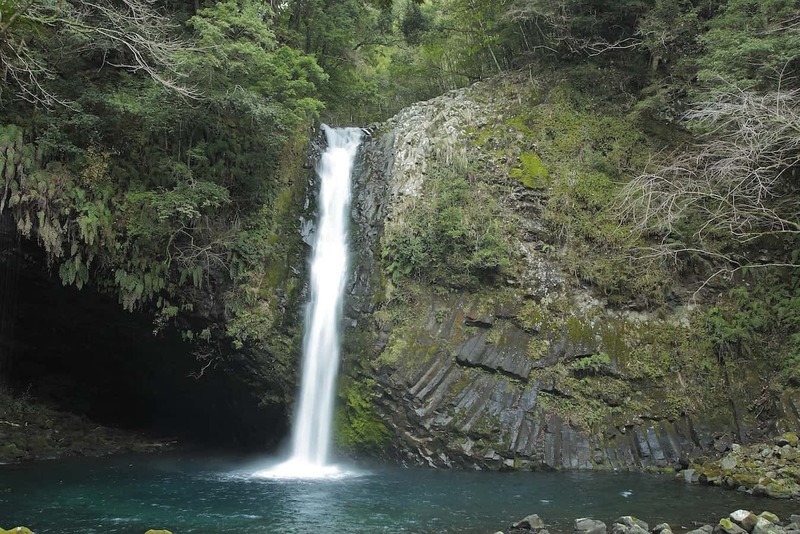 This historical hot spring town in a quiet mountain area is often called "Izu's Little Kyoto". It is beautiful when the leaves change color in autumn, especially along the atmospheric Katsura River, so many tourists visit at that time. There are many sights to see, including Shuzenji Temple, Tokko-No-Yu Hot Spring, and the bamboo forest path, as well as a string of restaurants and souvenir shops, making it perfect for walks. You can also find many lovely long-established inns. This area is blessed with beautiful streams, including the 1,500 wasabi fields of the Ikadaba Wasabi Fields, as well as Banjo Falls where water falls majestically straight down from the cliff face. Near Banjo Falls there is also a camp ground, where you can relax and enjoy nature. Amagi, made famous as the setting for 'The Izu Dancer', is home to the flickering lights of fireflies in June, and an area with great natural beauty. Take a walk through the woods or to the waterfalls while being soothed by the clean air. You can also enjoy the sight of magnificent scenery and a carpet of flowers, with plum orchards spreading out before the Amagi Mountains. Local specialties include wasabi, and wild game such as venison and wild boar. 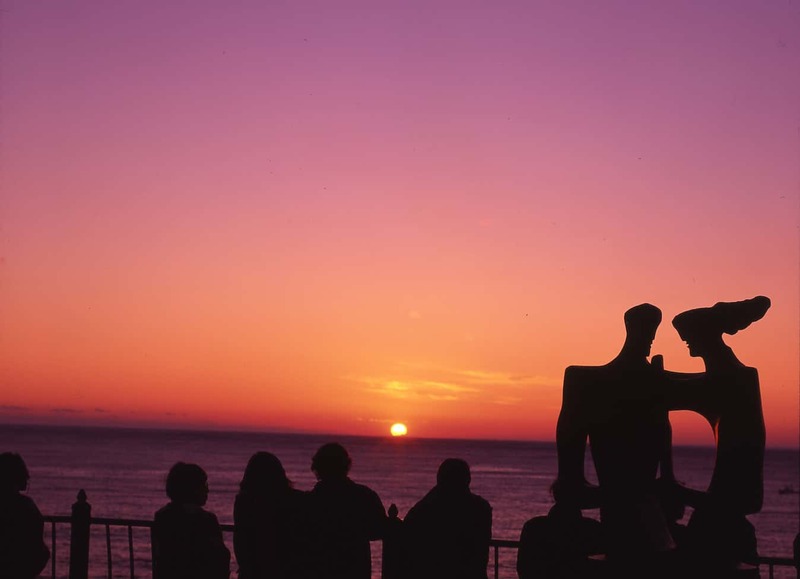 Izu is a charming city with abundant natural beauty, encircled by the Amagi Mountains. Flowers bloom in all four seasons, and many visitors come to see the beautiful autumn leaves, especially around Shuzenji. Fireflies dance in the early summer, and you can enjoy swimming on the beach of Toi in the summer. Spring and autumn are a great time to go hiking in the Amagi Mountains, Namesawa Gorge, Yumichi (Hot Spring Road), and Mount Daruma. 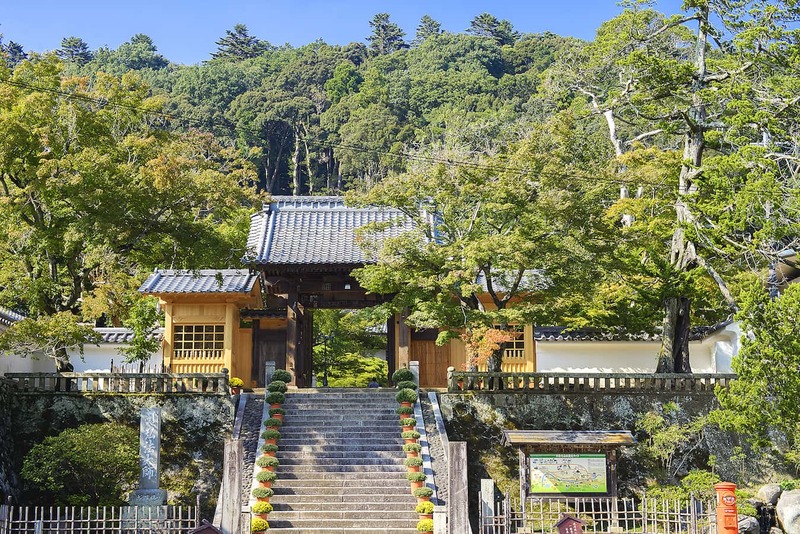 As a festival to give thanks to hot springs and the monk Kobo-Daishi who is said to have discovered Tokko-No-Yu hot spring, the Yukumi-Shiki festival is held at Shuzenji hot spring on April 21st. Monks draw hot spring water from Tokko-No-Yu and pour it into pails carried by young women dressed in kimono, who then join a parade through the streets of the hot spring town led by heralds and children. The hot spring water is then offered to the spirit of Kobo-Daishi at the main hall of Shuzenji Temple. The fishing season for sweetfish in the Kano River starts in late May, and it draws many fishermen. From late May to early June, you can enjoy the fantastic flight of the fireflies in the quiet evenings of Akagaeru Park in Shuzenji. 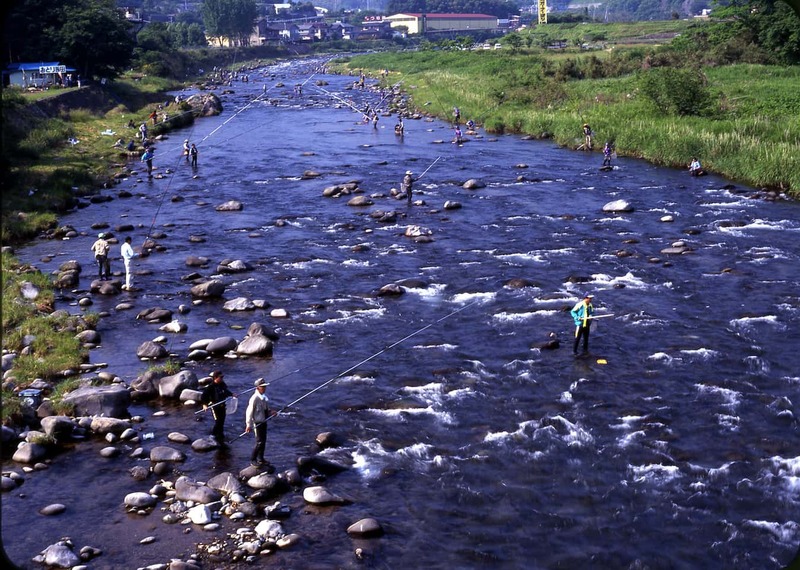 Every Friday and Saturday from late May to early July, you can experience Flying Fish Catching in Toi. 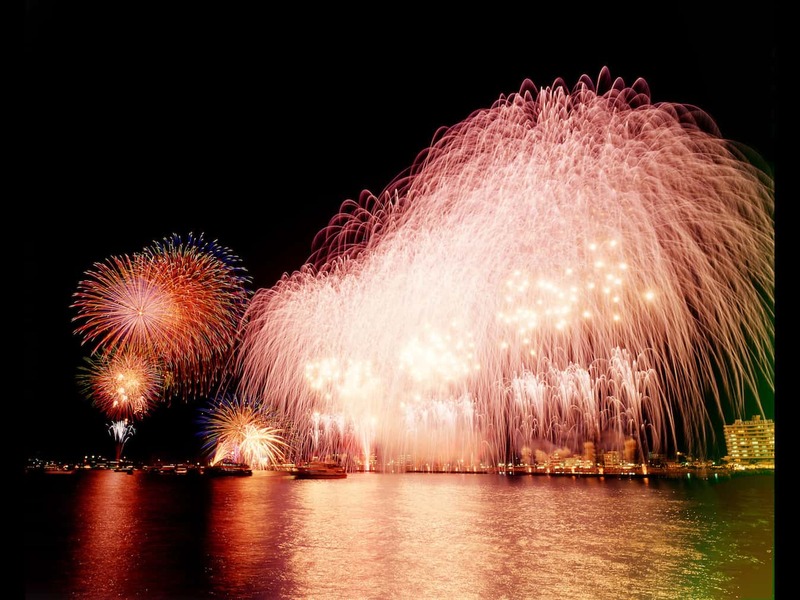 In August, summer festivals and fireworks festivals are held all around the city, including Shuzenji Station Festival, Toi Summer Festival, and Kobo-Daishi Dedication Fireworks Festival. The beach of Toi opens for swimming in July. Shuzenji is home to the finest Japanese maple groves in Izu. From the middle of November to early December, it is shrouded in vivid autumn colors. 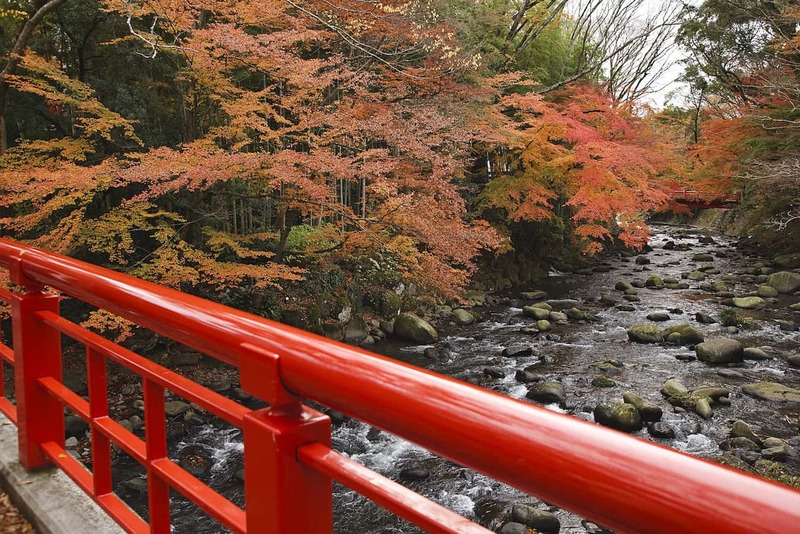 You can see beautiful autumn colors and illumination at the Shuzenji Nature Park, Shuzenji Temple Gardens, the Katsura River, and Shuzenji Niji no Sato. Amagi is also famous for its autumn colors. The fishing season starts for rock lobsters in September and eriocheir crabs in October, so you can fully enjoy autumn flavors. 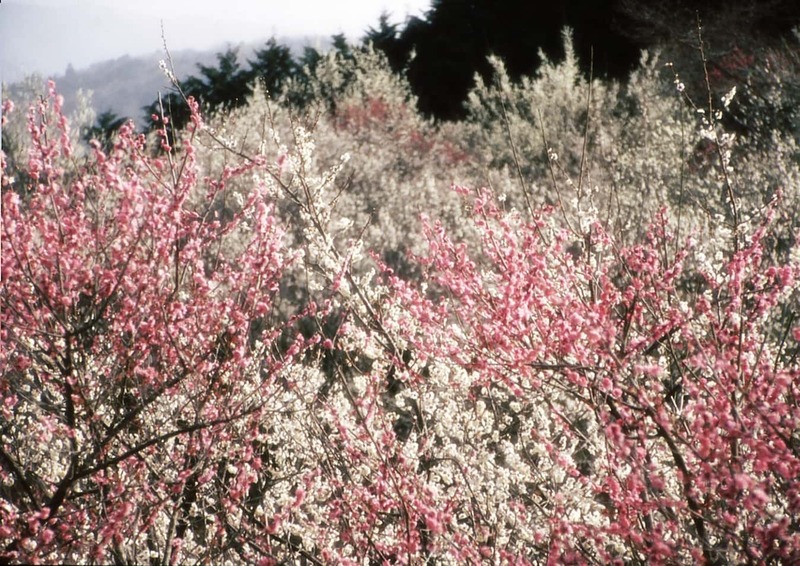 From early January to mid February, the early blooming Toi cherry trees show their deep pink flowers, and the Toi Cherry Tree Festival is held at Toi Gold Mine, Matsubara Park, and Lover's Cape. 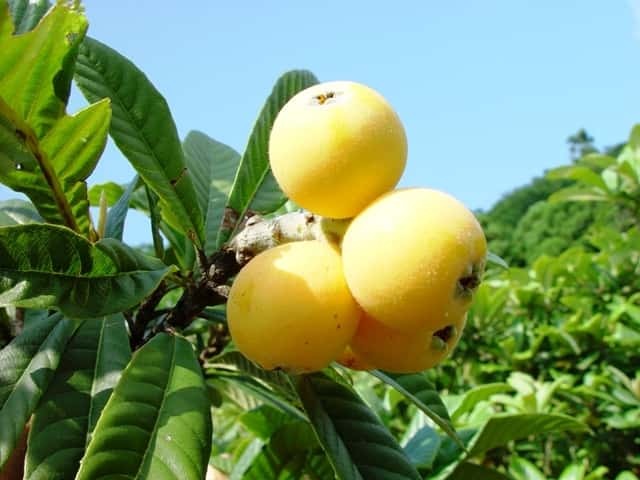 In mid February to mid March, 1,500 plum trees bloom on the slopes of the mountain at Tsukigase Bairin, the largest plum orchard in Izu, and there are events to sell local specialty products. A plum festival is also held at Shuzenji Plum Grove.